Are your prayers answered? Do you ever wonder if you're praying amiss? Jesus gave us "the model prayer" in Matthew 6:9-13. We know the scriptures as The Lord's Prayer. Our Sunday School curriculum is focused on prayer for June. We thought it would be fun and easy to teach our 1st to 3rd graders to pray by using something they likely knew...the parts of a letter. We explained how a prayer is very similar to writing a letter. 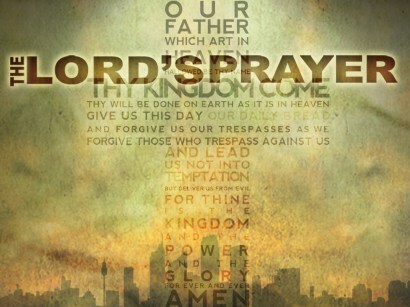 Using The Lord's Prayer as a model, we reinforce each week the correct way to pray. 1. Greeting - address God by calling his name. "Our Father", "Heavenly Father", etc. Praise - Give God praise and glory for specific things or all things. "Hallowed by thy name. Thy kingdom come, Thy will be done"
Provisions - Ask God for your needs. "Give us this day our daily bread"
Penance - Admit your sins and ask God for forgiveness. "Forgive our debts as we forgive our debtors"
Protection - Ask God for guidance. "Lead us not into temptation but deliver us"
3. Closing - Tell God how awesome he is again and ask for all these favors and blessings in the name of Jesus. Pray with a humble, sincere heart with a meaningful voice. I believe if we get into the same mundane prayer, it becomes redundant and boring to us. Can you imagine how God feels hearing it? It would be just like your child telling you the same thing every day. You listen but only half-hearted, right? After awhile, you may tune the broken record out altogether! Be passionate and pray with your whole heart. Do you use a map for directions? You do if you want to get where you're going! If you use a map, you're probably praying correctly using the model that Jesus gave us. If you don't use a map or ask for directions, you're probably not praying as Jesus instructed. You may be wondering around in the prayer wilderness questioning if your prayer will ever be heard much less answered! Don't stay there for 40 years. You've got the map and there's milk and honey just ahead!